Artificial Intelligence in the Age of Neural Networks and Brain Computing demonstrates that existing disruptive implications and applications of AI is a development of the unique attributes of neural networks, mainly machine learning, distributed architectures, massive parallel processing, black-box inference, intrinsic nonlinearity and smart autonomous search engines. 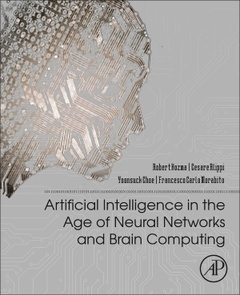 The book covers the major basic ideas of brain-like computing behind AI, provides a framework to deep learning, and launches novel and intriguing paradigms as future alternatives. The success of AI-based commercial products proposed by top industry leaders, such as Google, IBM, Microsoft, Intel and Amazon can be interpreted using this book.